Edgar Rice Burroughs’ Mars-set novels began in 1912 with A Princess of Mars and followed through 1943 with another ten books, now known as the “Barsoom” series. Ever since their popularity came to be, Hollywood has labored to adapt the author’s fantastic tales to film with little to show for their labors. In the 1930s, Looney Tunes director Bob Clampett vied for a full-length rotoscope-animated version that was deemed too ambitious for MGM; in the 1980s, Walt Disney Pictures purchased the rights with interest from effects designer Ray Harryhausen and Predator director John McTiernan, but nothing materialized; Paramount purchased the rights in the early 2000s from the Burroughs estate, but after false starts with directors Robert Rodriguez and Jon Favreau, their claim on the rights expired. In 2007, Disney picked up the rights again and, with Pixar’s Finding Nemo and WALL•E director Andrew Stanton at the helm, they have finally brought Burroughs’ vision to the screen in John Carter, a reported $250 million production. Approaching the film in today’s post-Star Wars consciousness, one must consider how those films have borrowed a great deal from Burroughs’ stories. For the uninitiated, the source material follows John Carter (here played by Taylor Kitsch), a post-Civil War confederate captain from Virginia who’s transported to Mars, called “Barsoom” by its inhabitants, and finds that (à la Superman), the changes in gravity leave him with superior strength and the ability to clear great distances in a single bound, and thus make him a champion of sorts. Burroughs’ books were about notions of good and evil, swordfights, damsels in distress, and heroism of the highest, most basic order. 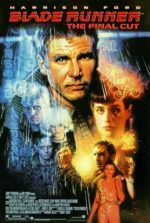 These are simple ideas to be sure, and many may feel reminiscent of sci-fi and adventure tales we’ve seen before, namely somewhere between Avatar and Conan the Barbarian. But Stanton and his co-writers Mark Andrews and Michael Chabon complicate the plot with too many opposing sides and too many characters without enough motivation. After a lengthy prologue where this former war hero rejects Confederate allegiances in the face of a growing conflict with Apache natives, Carter is zapped onto Mars to find things aren’t much different on the Red Planet. He’s caught inside a civil war between two warring nations, the noble citizens of Helium and the evil city-state of Zodanga. But first he aligns forces with natives called Tharks, a tusked, green-skinned, four-armed people led by Tars Tarkas (Willem Dafoe), who extols Carter for his superman-esque abilities. After intervening in a battle between Helium and Zodangan air ships, the Tharks capture Helium Princess Dejah Thoris (Lynn Collins), whose father (Ciarán Hinds) has betrothed her to Zodangan Prince Sab Than (Dominic West) in an effort to bring peace to Barsoom. But Sab Than is just a pawn of Matai Shang (Mark Strong), an immortal Thern, a member of a race of puppetmasters manipulating these various parties from the shadows, watching as their space-opera plays out. Carter and Princess Thoris inevitably fall in love, but the numerous battles that follow unfold without impetus or a rationale that will make much sense. 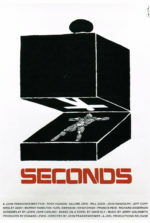 Stanton sacrifices the integrity of Burroughs’ simple story to avoid similarities to the past 100 years of cinematic storytelling, which has covered the gamut of twists and turns in Burroughs’ first book. Straightforward fundamentals of the source material are left aside to “enhance” the production with the latest in special FX and CGI design. Alien creatures, fully developed motion-capture characters, gigantic monsters, elaborately conceived flying ships, and an entire planet’s worth of impressive (if blandly sand-ridden) scenery are rendered with astonishing visual flair, combining a live-action world with computer-generated flourishes. But the extraordinary detail and craft will reportedly be missed in the film’s unfortunate 3-D version, which, happily, this critic did not endure. Other critics have complained about a muddy and blurry post-converted 3-D presentation, so I sought out the film in 2-D and found the experience a visual stunner. Regrettably, visuals mean little when an audience doesn’t know why things are happening onscreen. The writers simply haven’t explained why we should care about what’s going on—nor why cultures capable of making ships that ride on light still bother to use swords—and consequently the ensuing battles feel like inert chaos. Prince Sab Than is hell-bent on destroying Helium, and aside from being told that Helium and Zodanga are ancient enemies, we can’t be sure why. Both cultures seem relatively the same, so what lies at the heart of their conflict? The American North and South fought over slavery; but there is no such apparent conflict between Helium and Zodanga. Even if you accept that Prince Than’s motivations reside in inherited hatred, the film hardly explores the Therns and why they wish to see these nations destroy each other. Oh, I suppose Matai Shang makes a vague reference to Therns “feeding” off civilizations that destroy themselves, but this hazy allusion is never explored. In all, too many players in this game have not enough rooting interest. Perhaps if this was a three-hour film, or an ongoing television series, there might be time to explore the drives of everyone involved. The acting is never more than serviceable. Fitting enough, Kitsch, a former Abercrombie & Fitch model, looks the part and makes a modest hero out of John Carter, yet adopts a distracting John Wayne accent in early scenes. But his characterization lacks the dynamic and gravitas of a truly compelling hero, in spite of flashbacks to a tragedy in his past. Lynn Collins makes a proper Princess, attractive and capable of handling a sword, but her character somehow always manages to fall from somewhere, requiring an inevitable rescue from Carter. Strong is his reliable self in another bald villain role. Hinds commands in his few scenes. West plays another slimy villain. Solid voicework from Dafoe, Samantha Morton, and Thomas Haden Church disappears into their respective Thark characters. In each case, however, the actors are only doing what they can with the one-note characters and typical sword-and-sorcery genre dialogue they’re given. Being Stanton’s first live-action feature, the director doesn’t demonstrate the control or clarity found in his Pixar films, not by a longshot. 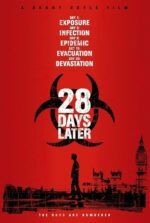 And with so many elements crammed into the plot, editor Eric Zumbrunnen brusquely cuts through action sequences, barely leaving us enough time to relish the splendid effects onscreen. It’s not what you would call it choppy, as we can always tell what’s going on, but we’re not allowed to savor the moment. Stanton’s frame never lingers, and therefore never lends the film what should’ve been an epic quality. Moreover, the film moves very, very fast, far too hasty for such a complicated story, resulting in a level of detachment from the proceedings. 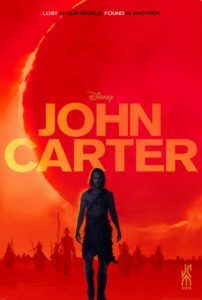 Even with the two-hour-plus runtime, it feels like Stanton and Zumbrunnen have hurried their way through Carter’s origin story, by the end of which he officially becomes “John Carter of Mars”—the original title for this production. Stanton has much to learn about live-action filmmaking. Maybe former Pixar director Brad Bird, whose live-action debut on Mission: Impossible – Ghost Protocol was such a resounding success, could teach Stanton a thing or two. Fortunately, John Carter has a self-contained ending, meaning that Disney hasn’t set out to make this an obvious franchise-starter, a lesson learned by first-in-a-series-that-never-was bombs such as The Golden Compass or Disney’s similar dudPrince of Persia. Good thing too, as bad word-of-mouth has poised this film to underperform at the box-office, and so, alas, we’ll likely never see Stanton’s proposed trilogy come to pass. (With all due respect to Stanton, no filmmaker outside of Steven Spielberg or James Cameron should be given a $250 million budget.) Given its 100-year journey to the screen, I suppose we should happy that this production ever made it to theaters at all. Still, John Carter isn’t the train-wreck that some would make it out to be; the effects are impressive and the budget imbues the highest order of production values. It’s watchable and at times an enjoyable film, just not wowing or immediately satisfying in the way so many of Burroughs’ readers had hoped it would be.